QR Code generator are Images which stores the coded Information and to read this Information we require Smartphone Application which are freely available which covert your phone camera into Barcode Scanner which scans the OR code and gives the stored Information such as your contact information, business card etc. To read the information embedded in the QR Code, you need to install a QR Code Reader app on your smartphone. Now open App on your phone and it will open your camera to scan your QR image. Now if your QR Code contain the information regarding your facebook profile then it will automatically open your web browser or facebook app to display your profile. So you can send this QR code to your friends they will scan it and will find your facebook profile without typing your profile name just have to scan your QR Code. STEP 2 :- Their will be an option called data type under which you will find Facebook option. STEP 3 :- Select facebook option and it will ask you to enter your facebook profile URL. 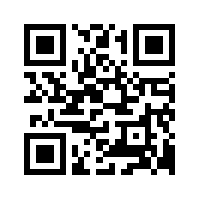 STEP 4 :- It will automatically generate the QR Code and Click on Download it. STEP 5 :- Now share this QR Code on different social Networking site such as Google plus, twitter and other popular site. This will help User to get your Profile directly on their Mobile phone without typing any URL Just scanning your QR code.